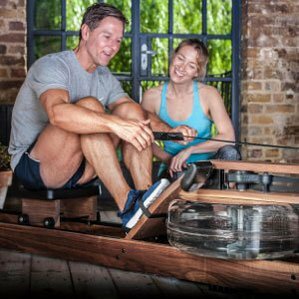 Does The WaterRower Oxbridge Rowing Machine Offer The Strong, Realistic Experience That Rowers Are After? The concept of the WaterRower Oxbridge Rowing Machine is highly appealing to many consumers in the market for a rowing machine with a difference. Those main differences here are the use of water resistance, the lack of any electric power and the wooden design. This is meant to be an attractive, inviting model that is more desirable and relaxing than the usual models in the gym. There is a lot to tempt buyers with this good-looking cherry red model, but does it offer the strong, convenient workout that they are looking for? Is The WaterRower Club Rowing Machine A Great Alternative For Low-Impact Training? 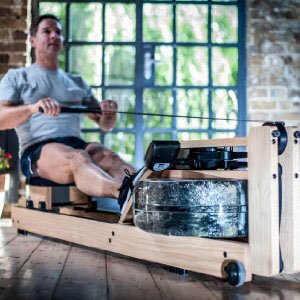 The WaterRower Club Rowing Machine instantly stands out to buyers because of its look, with the simple parts and dark stained ash wood, but this minimalist design and lack of mechanical parts hides a machine with a lot of potential for a tough workout. The main aim of this WaterRower machine is to give users an entirely different sensation to the mechanics of standard machines – to the point where they feel as though they are rowing on water. 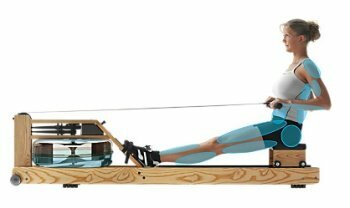 Does The Style And Motion Of The WaterRower A1 Rowing Machine Lead To A Great Workout? Measuring in at 211 x 58 x 50 cm and instantly appealing to most consumers because of the use of wood, metal and the stylish design on the frame and water tanks, the WaterRower A1 Home Rowing Machine is a streamlined model with the sort of looks to tempt many people away from the big, black numbers of the gym. The big question here is whether it is all style and no substance. Aesthetic design, quality of the product materials, durability, smooth and silent functions, product features etc. 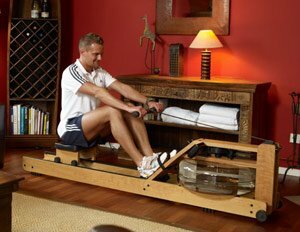 are the main factors which help to give an extra edge to the popular WaterRower Natural Rowing Machine. However, there are lot more things which you will come to know gradually in the next section.